CANADA COLORADO ASSOCIATION NIGHT WITH THE DENVER NUGGETS! 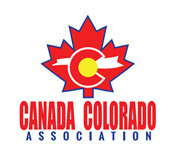 The Canada Colorado Association has partnered with the Denver Nuggets to offer discounted tickets to our members for the Denver Nuggets vs. Toronto Raptors game this Sunday, December 28th. CCA members will be invited to join the pre-game courtside experience on the Raptors side as well! Be sure to buy your tickets soon and bring your friends and family!